UPDATE: Funeral arrangements have been announced – click here for details. 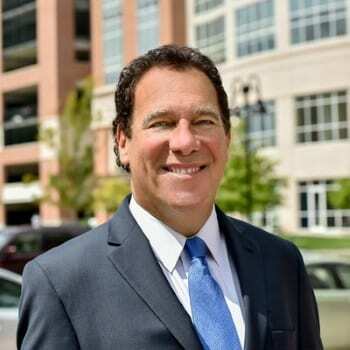 Baltimore County Executive Kevin Kamenetz – a Democratic candidate for the 2018 gubernatorial contest – died early Thursday morning at University of Maryland St. Joseph Medical Center following a cardiac arrest. Kamenetz was at his home in Owings Mills, asleep, when he awoke at about 2 a.m. and complained of feeling ill. He was transported by the Garrison Fire Station’s Medic 19 to St. Joseph, where doctors pronounced him deceased at 3:22 a.m.
Additional details on Kamenetz’s death will be provided at a briefing at 11 a.m. at the Public Safety Building in Towson. “The First Lady and I are saddened to learn of the sudden passing of Baltimore County Executive Kevin Kamenetz this morning. We extend our deepest condolences to his family and loved ones,” said Governor Larry Hogan. The governor directed all Maryland flags be lowered through sunset on the day of interment.